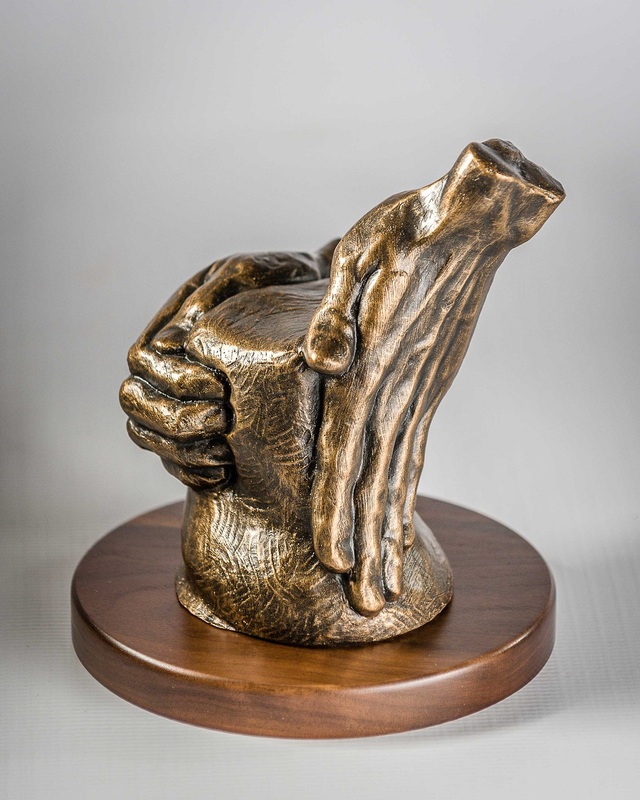 The Potter's Hands is a Christian Art Sculpture that reminds us that we are but clay in the hands of the Creator. What a wonderful addition this would make to any home décor setting. This exquisite piece of art measures 7" high x 5" wide x 5" deep. It includes a 3/4" custom walnut base. A double thick base is available for an additional $15.00. A personalized nameplate can be added to the walnut base for $10.00. Isaiah 64:8, "Yet you, LORD, are our Father. We are the clay, you are the potter; we are all the work of your hand."